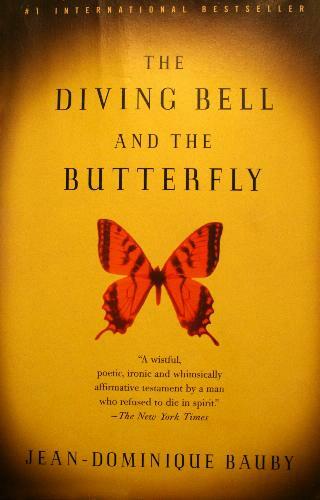 Last week I read two amazing books—The Diving Bell and the Butterfly by Jean-Dominique Bauby and Under the Eye of the Clock by Christopher Nolan. Bauby was the editor-in-chief of Elle—the famous fashion magazine. On December 8, 1995, he had a stroke and lapsed into a coma. He awoke 20 days later, mentally aware of his surroundings but physically paralyzed with the exception of his left eye. Bauby wrote the book from his hospital bed. The entire book was written by Bauby blinking his left eyelid. A transcriber repeatedly recited a French language frequency-ordered alphabet until Bauby blinked to choose a letter. The book took about 200,000 blinks to write and an average word took approximately two minutes. It took ten months (four hours a day) to complete the book. The book contains Bauby’s outlook towards life, his opinion about his condition, his views on various topics, and his anger, frustration, and helplessness about his inability to communicate properly with others. The book also chronicles everyday events for a person with locked-in syndrome. The French edition of the book was published in March 1997. It received excellent reviews, sold 150,000 copies in the first week, and went on to become a number one bestseller across Europe. Bauby died of pneumonia on March 9, 1997 at the age of 45, just two days after the book was published in French. The book was made into a movie by the same name in 2007. Nolan had severe cerebral palsy and the only part of his body he could control was his head. Nolan, a literary genius was struggling to express his thoughts and ideas. Even though it was an arduous and painful task, Nolan learned to type at the age of 11. This exhausting feat was achieved with a ‘unicorn stick’ secured to his lolling, jerking head. With years of practice and with the help of an experimental drug that reduced spasms of the neck he started writing. While the drug relaxed the neck muscles and a specially designed computer and keyboard made typing easier, it was his mother who held his head in her cupped hands who really helped Nolan to write. Even with all these, it was a though process, but Nolan painstakingly picked out each word, letter by letter, with the pointer attached to his forehead. Because of the unpredictability of the spasms, it would take up to 15 minutes just to type a word. Nolan published his first book, a book of poems titled ‘Dam Burst of Dreams‘ at the age of 15. At the age of 22 he published his memoir—Under the Eye of the Clock. It won the 1988 Whitbread Book of the Year award after winning the Whitbread Biography Award. Some said disability got the prize for him, but what won it was the language. According to Ben Pimlott, a London University professor and chairman of the Whitbread biography panel, “All one can say is that this is a very extraordinary book. It’s a very powerfully written, very truthful book …. I certainly cannot think of any other quite like it …. Sympathy did not play a part in Christopher winning [the awards]. We [the panel] were very conscious of that danger … and therefore one is actually inclined to lean over the other way. He won because of the merits of his book, period.” His next book, a novel (The Banyan Tree) took 10 years and was published in 1999. He died on February 20, 2009 at the age of 43. He was working on his second novel at that time. Nolan’s story too attracted the Hollywood. 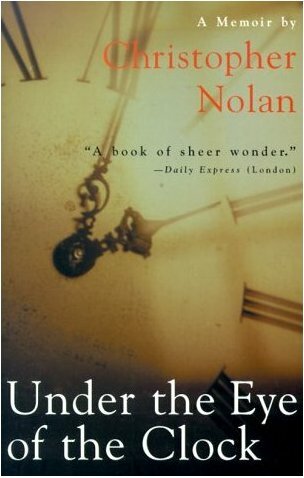 A well-known Los Angeles film producer contacted Nolan with the hope of turning his book into a movie. He was wary, however, despite the prospect of huge sums of money. Rejecting the offer, Nolan wrote to the producer: “Heretofore we have staged crippled man as an object of pity, patted him on the head, allowed sentimentality to flow all around him, and moved onlookers to tears. Now we’re in the late eighties and therefore must not allow nuclear-age’s children to seem as though they still look through the eyes of stone-age man. I want to highlight the creativity within the brain of a cripple and while not attempting to hide his crippledom. I want instead to filter all sob-storied sentiment from his portrait and dwell upon his life, his laughter, his vision, and his nervous normality. Can we ever see eye-to-eye on that schemed scenario?” I couldn’t agree more with Nolan’s sentiments and opinion. To a certain extent, I can relate to what Bauby went through after his stroke. One day you are living a very exciting life, the next day you are confined to the bed and wheelchair. I know a person, a very good friend of mine, who can completely understand what Nolan went through. But reading the books and knowing more about both Bauby and Noaln left me reeling. Compared to them, I have suffered nothing. Yes, I had an accident when I was 27 that left me paralyzed below chest. Yes, I have many of the complications associated with spinal cord injury: I have severe back and shoulder pain (which is bearable most of the time); I have spasms (but they are not very violent and only happens in the evening and at night); I am confined to a wheelchair (but, I can propel the wheel to the destination of my choice); I cannot go out (but who want to go out in this heat, dust and pollution); I have to abstain from cigarettes and alcohol (but those are injurious to health anyway); I cannot exercise (but who needs exercise when the legs and body do their own exercises); I have to be on a diet (but that is what everyone is doing); it takes about 2.5 hours in the morning to get ready and about 45 minutes to get up, dress and transfer to the wheelchair, which I do twice a day (but that still leaves 20 hours a day). I have many advantages over them. I have my hands and fingers, I can type fast, hold the book I read, hold the pen to the paper and write. I can eat with my hands, chew my food without any trouble, and drink the coffee without spilling it. I can teach, I can learn, and I can communicate in all forms. One thing I have found in common (among many other things) with these guys is the caring, loving, and supportive family. I think the fate of any person who is challenged in some way is decided how the family and friends treat and support the person. In spite of the great challenges and adversity, Nolan and Bauby achieved what many fail to achieve. In my opinion, the achievements of Nolan is greater compared to that of Bauby. Nolan was a genius and a master of his craft. He never had a normal life, but using his imagination, creativity, and talent went on to become a writer whom critics regard to be in the same class of Joyce and Yates. Bauby had a full life and an illustrious career till he was 43. His book even though, remarkable the way it was written, and the myriad of emotions it captures, comes nowhere near Noaln’s memoir. But who am I to judge the two people who were fighting the adversities and hardships with courage, determination and honor. For me both these men are sources of inspiration and motivate me to work harder, do better, and be happy. Never I have heard of Bauby and Nolan before reading ur post. Thanks for introducing them. They are great, indeed. But for many of us, you are the source of inspiration and motivate us to work harder, do better , and try to be happy ! I feel honored to be mentioned in one of your excellent posts. Thanks a ton. Paresh directed me to your blog. Thanks for sharing this piece, and for sharing your friends blog with us. He has become an “unknown friend” and someone to be admired as well for all that he is doing. Nolan, Bauby and closer home Alexis and Paresh all teach us lessons in life about tremnedous effort despite the struggles and the power of positive thinking!!! Some people perhaps get known in the wider world but the achievements of the others are not in any way lesser!!!! 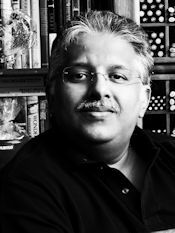 Proud to know you Paresh…always have been and will continue to be…and thanks to you ….great to know Alexis too through your writings!!! Keeep the spirit going and continue to be the inspiration for millions….. It is the first time I am hearing about both these people and their books, thanks for sharing it. But as Sheeba rightly said, you are truly a source of inspiration to many a lesser mortal like me. Thanks a lot for sharing the information on both the books.Those will be my next two picks for reading. ideal person to inspire others. Visting your blog after long time… it seems there are lot of posts which i missed. Coming to your blog page is nothing short of a piligrimage..
To all: Thank you very much for your comments.